Making good use of our Polytunnel !!! As you can see we are making great use of our polly tunnel. We are using it for both storage and cultivation! We are very pleased with our nicely stocked tunnel and we are very excited as to what to grow next? 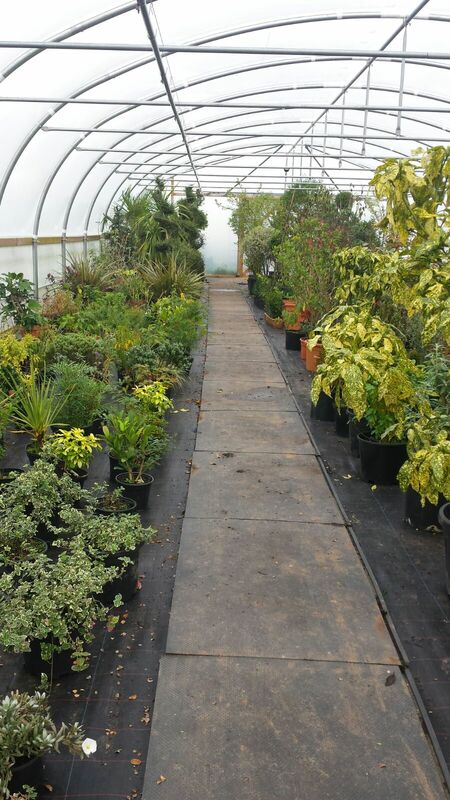 At this time the plants we produce are used on our landscaping projects. We may however in the future be able to offer them for general sale... so Richard and Tony watch this space ! Hi Steven, We are always interested in offering work experience to keen students. If you would like to contact us directly we could discuss this further. We are looking to train a number of our students out in the field do you offer any facilities and if so how much do you charge?